Most of the time, I buy this binder directly from Amazon, as an add-on item to larger orders. However, sometimes they have also been out of stock, leading me to purchase from a third party seller. Each time, I’ve received the binder I expected. Today, I received two packages from Sam’s Club (a membership-only retail warehouse chain owned by Walmart). This was odd because I wasn’t expecting anything from Sam’s Club. I opened them up and, between the two boxes, there were three binders. A bit wasteful, I know. I usually buy them in larger bulk, but this was all I needed, as I near the end of my re-organization. I had purchased these binders on Amazon – two from Office Supply Factory, one from Achilles Trade – yet both orders came via Sam’s Club the same day, in the exact same sized box. It took me a second, but I realized that these two sellers were engaging in arbitrage on Amazon. Arbitrage is “the simultaneous purchase and sale of the same securities, commodities, or foreign exchange in different markets to profit from unequal prices,” according to Dictionary.com. In this case, Sam’s Club is selling this binder at a lower price on their website, than what I purchased it for from the third party seller. They then take the money I paid them and buy the item on Sam’s Club and have it shipped to me, as a gift order, and keep the difference. I don’t know if this is the most successful example of arbitrage. I paid $3.66 for two of the binders and $3.67 for the third. The shipping was free. These third party sellers are likely Amazon Marketplace Professional sellers, which means they pay $39.99 and Amazon waives some fees. But they still had to pay 15% per item (the day after I ordered, Amazon changed this to be the greater of $1.00 or 15%). Per binder, Amazon received $0.55. That leaves the seller with $3.12 to buy my binder. The binder they sent me care of Sam’s Club is only $2.38. Sam’s Club charged them sales tax, bringing it up to $2.54. That means they made a profit of $0.58. Let’s assume they are using a credit card to place the order, which gives them 1% cash back, which means they earn $0.02. They can use FatWallet to earn another $0.03, bringing their profit up to $0.63. This excludes whatever their Amazon Professional seller plan breaks down to per item ($39.99 divided by the number of items they sell in a month) and their Sam’s Club membership, which is either $45 or $100 (at the $100 level, they can get 2% cash back with Discover). So let’s round the item off at a $0.60 profit, as a very fair estimate. Someone had to list the item on Amazon for sale, view the order once I made it, make sure to use a FatWallet link and place the order at Sam’s Club. Sounds quick, but there is some typing and navigating involved (for example, typing my address into the Sam’s Club order form). It’s at least a few minutes. I’m sure that these sellers are getting more money from other items, but this one seems like a lot of effort for $0.60. That said, arbitrage is usually about scale. If you make $0.60 on 1 transaction, you try to duplicate that same sale 1,000 times (for example), which means you made $600. If you are able to spend no more than 2 minutes per transaction, you are making $18 an hour. 3 minutes per transaction puts you at $12 an hour. They could make a living doing it, if they are successful enough. Of course, it also depends on a constant monitoring of prices and adjusting of your price on Amazon. 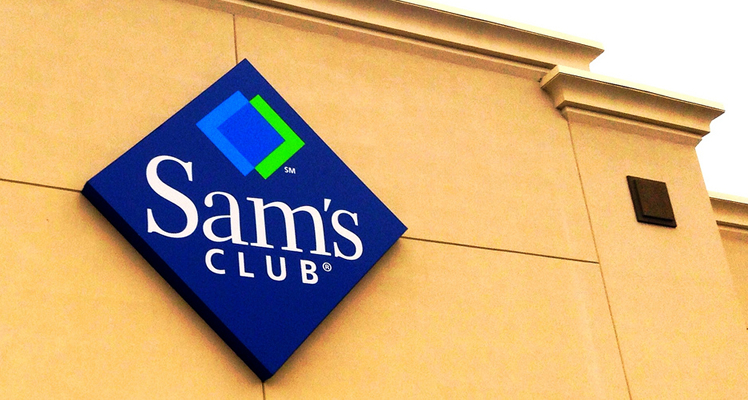 If Sam’s Club raises prices, there goes your profit, unless you have another source. Having alternative sources sounds like a good idea, but that’s an increased time investment, as well. What I am saying is that there is a larger time investment than just the couple of minutes to process the order. The operation itself requires time, lowering that hourly wage even further. Under those new Amazon rules I mentioned, this exact transaction would now earn only $0.15, with Amazon taking a full dollar, instead of just $0.55. In all, I’m not terribly bothered by it, because I was happy with the price and I like to buy things on Amazon, because I own stock in them, it’s convenient and I earn 3% cash back. Funnily enough, I also own stock in Walmart, so I’m happy to receive the item from Sam’s Club. But I’m not a Sam’s Club member and not really interested in spending more than a minute or two price shopping to save an extra 50 cents or so (a quick search for this binder yielded no better price than what I paid). More than anything else, I was just amused to receive a Sam’s Club box and have been a participant in this arbitrage. I’ve bought a lot of things from third party sellers on Amazon and this is the first time it’s ever happened. Photo credit: Sam’s Club by Mike Mozart, licensed under CC BY 2.0. Hi, Patrick: Interesting article. I know that $0.60 doesn't sound like much but some larger arbitrage retailers use web bots to list inventory and fill the orders so once the software is written, it's on autopilot and you need very few people. If you go back to Amazon you can find some third-party sellers that have more than 400,000 feedback. Only 5% to 10% of all buyers leave feedback, so that means these sellers have sold somewhere in the range of 6 million items X $0.60 = $3.6 million. Not bad for a few software developers. You can write the software for less than $200K and some bootstrap operations can do it for $25-$50K. And, you could get it free from OpenSource or Russian hackers - lol. Thanks for the comment, B. Yes, it's about scale, as mentioned in the fourth to last paragraph. I just had this happen to me with a couple pillows from Achilles trade come with a Sam's club packing slip. I am not amused. I am a seller on Amazon and this is against Amazon Policy.